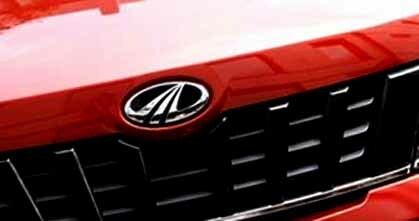 Mahindra & Mahindra, the Indian auto giant facing the impact of a big drop in the Q4 2015 net profit due to lower sales, also has been rocked by counterfeit, fake and sub-standard automotive components allegedly being passed on as original Mahindra product by some “unknown persons” in Delhi and other parts of the country. The case in point is the detection by Mahindra & Mahindra that duplicate copies of the original oil filter and element fuel filter (primary and SE) commonly known as air filter produced and marketed by them were being sold in the market. In this way both the buyers of these products and the company (Mahindra and Mahindra) were being cheated by those involved in this illegal activity.This is the contention of the company that also says that it would stand not only to lose its revenues and market share but also suffer irreparable loss and injury to its reputation and goodwill. After collecting evidence, the company – Mahindra & Mahindra Limited – was compelled to file a petition in the Court of the Chief Metropolitan Magistrate here with the prayer that this case be referred under the Provision of section 156 (3) read with section 155(2) of Cr.P.C. to the Deputy Commissioner of Police, North, Delhi with directions as prayed for hereinafter. The company also urged the court to direct the Deputy Commissioner of Police, Crime, Economic Offences Wing, New Delhi or any police officer authorized by him to investigate and find out the culprits and offenders and also issue Warrants and directions to the Deputy Commission of Police (Crime) New Delhi, under Section 93 & 94 Cr.P.C. directing him or other police officer authorized by him to search shops and godowns in North District of Delhi, seize all objectionable articles to produce evidence before Court. On court’s order, a case has been registered on 29 May by EOW, Delhi under relevant sections of the Copy Right Act and the Trade Marks Act. The FIR places on record that the original box (of element fuel filter of `Mahindra & Mahindra Ltd) has been made with good quality of cardboard having very fine printing (shining) whereas the duplicate product has been packed in a box made of poor quality of cardboard and the printing on it is dull. The cloth used in original element fuel filter primary is of dark blue colour whereas the cloth used in duplicate element fuel filter primary is of light blue colour. In the logo on the original element fuel filter primary ‘M’ of ‘Mahindra’ is written in capital letter whereas the same is written in small letter (small ‘m’ for Mahindra) on duplicate element fuel filter primary. The black rubber used on the top and bottom of the original element fuel filter-SE is fixed from inside and is not detachable whereas the black rubber used on the top and bottom of the duplicate element fuel filter-SE is not fixed and easily comes out. The number of holes done on the yellow paper wrapped on the original element fuel filter-SE are more than the holes done on the yellow paper wrapped on the duplicate element fuel filter-SE. There is double thread stitching on the original element fuel filter-SE whereas single thread stitching on the duplicate element fuel filter-SE. It has been pointed out by “Mahindra & Mahindra” that they decorate and distinguish their products and their packaging by using various artistic works for which they won the copyright and have the exclusive right to use these trademarks and copyrights on their products and packaging. It has also been emphasised by the company that it has spent considerable resources in promoting and popularizing these trademarks and creating these copyrighted artistic works. The company has pointed out that it manufactures high quality goods and products at its manufacturing units at various locations. They are manufacturing their products by using latest technologies and following high standards of quality control procedures. The products of the company are of very high quality and these are associated with their trademarks and identified as their copyrighted works. The company enjoys goodwill and reputation for its products. 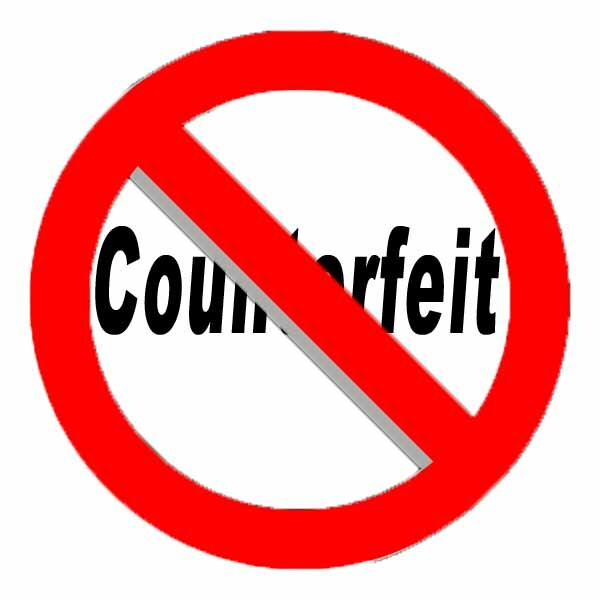 The company stands to suffer serious losses and prejudices if any person illegally violates and misuses its trademark and copyrighted works to market their own counterfeit, spurious and substandard products. The FIR says that that some “unknown persons” are infringing the trade marks and copyrights owned by Mahindra & Mahindra. These persons are engaged in the business of manufacturing, making, distributing and marketing and selling the counterfeit products by falsifying, as well as falsely applying to their goods and products and their packaging’s, the trademarks belonging to Mahindra , including the company emblem- symbol mark and other artistic works comprising of distinctive drawings, painting, words, color schemes, slogans, diagrammatic representations, stickers and labels. It has also been recorded in the FIR that these persons are counterfeiting their trademarks and copyrights upon the products manufactured by them as well as on the packaging. These persons are also applying the name “Mahindra & Mahindra” and the address of their offices and factories on their counterfeit products and their packaging falsely and fraudulently showing them as Mahindra products, whereas actually these are manufactured by unknown persons who have no association with that company. In this way they are passing off, and inducing the public and consumer to purchase, their inferior products. Hence they are not only causing loss of revenue to Mahindra and Mahindra but also causing damage to their reputation and goodwill. The consumer or the public also looses and is harmed. In this way they are committing the offence of cheating and forgery. It is further recorded in the FIR that these persons have made the duplicate die’s, blocks, plates, instruments, devices, implements and machinery for the purpose of falsifying the Mahindra trade marks. These persons are also permitting the premises and establishments in their possession or ownership for selling such spurious goods to the public under falsified trade marks. The FIR also underscores that these unknown persons are “very cunning and are able to remove their goods and stocks very quickly on the slightest hint of being detected”. The affected auto giant is engaged in the business of manufacturing, distributing and marketing motor land vehicles, utility vehicles, automobiles, scooters, motor cycles, bicycles, tricycles, tractors, tractor engines and parts, fittings and accessories for all vehicles, including automotive components and accessories, engines for motor land vehicles, tyres, and tubes for all kind of vehicles in India under their brand name and Trade Mark.